In times of great strife, the galaxy has often turned to Luke Skywalker for some hope and assurance that everything will be alright. Sadly, not only is Luke Skywalker busy teaching Daisy Ridley how to be a Jedi these days, he also isn’t real. So the closest we can get to that idealistic farm boy is Mark Hamill, the guy who plays him in the Star Wars movies. And while, the American people aren’t literally staring down the barrel of a fully operational Death Star just yet, but the election of Donald Trump has made a lot of people anxious about the future. 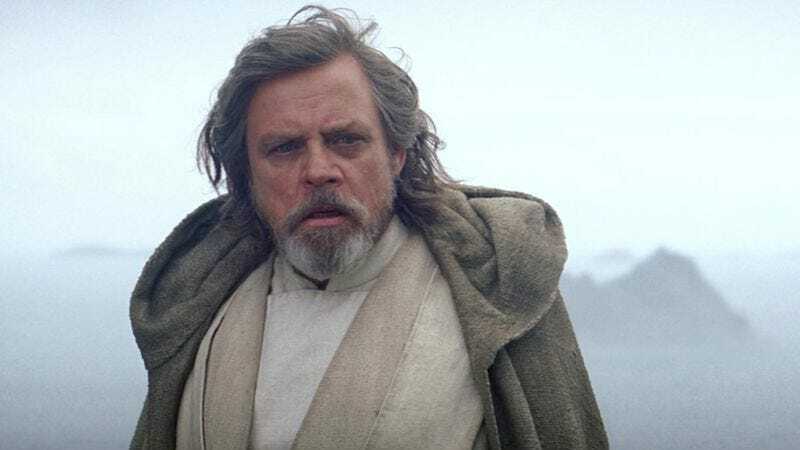 Hamill himself happens to be one of those people, so at least the 64 million voters out there who chose Hillary Clinton can take solace in the fact that they’re on the same side as Luke Skywalker. That’s got to count for something. He’s referring to people like Steve Bannon (who is a noted fan of both Satan and Darth Vader), Betsy DeVos (the future secretary of education who seems to care more about making money than helping a single kid), and David Clarke (the Milwaukee County sheriff who suggested that people buy guns and take the law into their own hands). Not to mention Rudy Giuliani and Mike Pence, whose various prejudices and biases are fairly well-documented at this point. Looking to the future, Hamill says it’s tempting to turn your back on the whole mess and move to Canada, but he says it’s important to “stay and defend your country, and do what you think is right and not retreat and hide under the covers,” adding “it’s not going to be easy, that’s for sure.” A huge Laurel and Hardy fan, Hamill is an advocate for using pop culture as an escape in these tough times, and he thinks the Star Wars movies will be very good for that in the days ahead. Hamill says it “sounds corny,” but he thinks the Star Wars movies were all “incredibly optimistic.” He explains that the series “talked about doing good just because it helps others and being selfless and understanding your place in the universe,” and he hopes that is “a message that kids still respond to,” because—even after facing the Emperor and surviving this whole election—he still believes in that whole “treat others the way you want to be treated” thing. So, in other words, you have Luke Skywalker’s blessing to watch the Star Wars movies a whole lot over the next four years.